Air Marine, a French company specializing in aerial data collection and processing, has begun France’s first drone-based gas pipeline surveillance program. Utility company GRTgaz selected the company to provide monthly surveillance of an 80 km (50-mile) stretch of natural gas pipeline in southwestern France, Air Marine announced. GRTgaz claims to operate Europe’s longest high-pressure natural gas transmission network. 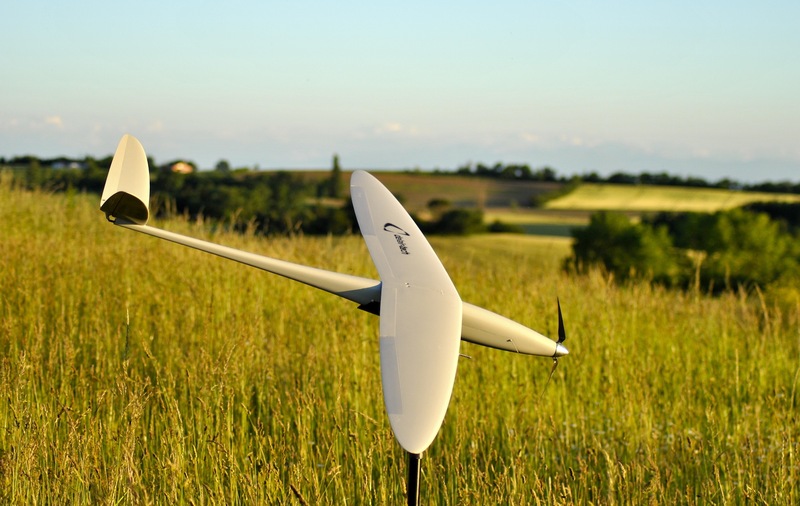 It monitors the network in France using aerial flyovers and ground-based inspection. Drones provide an option for densely wooded and hard-to-reach areas, said Air Marine, which has deployed the Delair-Tech DT18 fixed-wing aircraft equipped with a video camera for the task. In October 2012, the DT18 became the first small unmanned aircraft certified for beyond visual line of sight (BVLOS) operations, according to Delair-Tech, which is based in Toulouse, France. In April 2012, France’s DGAC civil aviation authority published regulations that for the first time addressed drones involved in performing “aerial work.” The GRTgaz operation is the first such pipeline surveillance program instituted since the regulations went into effect, Air Marine said. The Federal Aviation Administration in the U.S. is currently studying BVLOS operations by small drones. In May, the agency announced a “pathfinder” program with industry partners that will see BNSF Railway conduct drone flights to inspect rail infrastructure. Air Marine, which is based at Bordeaux-Léognan Saucats airfield south of Bordeaux, said it completed the first missions for GRTgaz “in the past few months…on hilly terrain, and confirmed the worth of this innovative solution.” For each mission, two pilots on the ground oversee navigation and data analysis aspects of the flight.